Click here and enter their name. 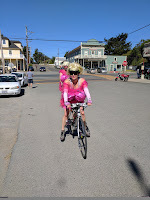 The Double Bay Double/Dolly Renegade Ride is a partnership between Different Spokes/San Francisco and Project Inform, where fun, like-minded riders ride a beautiful route and raise funds for Project Inform’s HIV and Hep C programs and services. 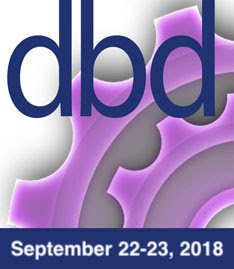 DBD/D is a fully supported ride with sweep vehicles, entertaining rest stops for water/sports drinks/snacks, and a gear truck all provided by a crew of amazingly capable, compassionate, and fun people most of whom have extensive experience in providing a superior rider experience! It’s a small ride of 50 or fewer fun cyclists. The production costs are minimal as the participants pay for their own hotel and lunches, and that means the money you raise directly supports getting to zero new HIV and Hep C infection efforts, the education of clients around the country, the protection of HIV+ and Hep C+ people’s rights and health; and the development of treatment and cure research. 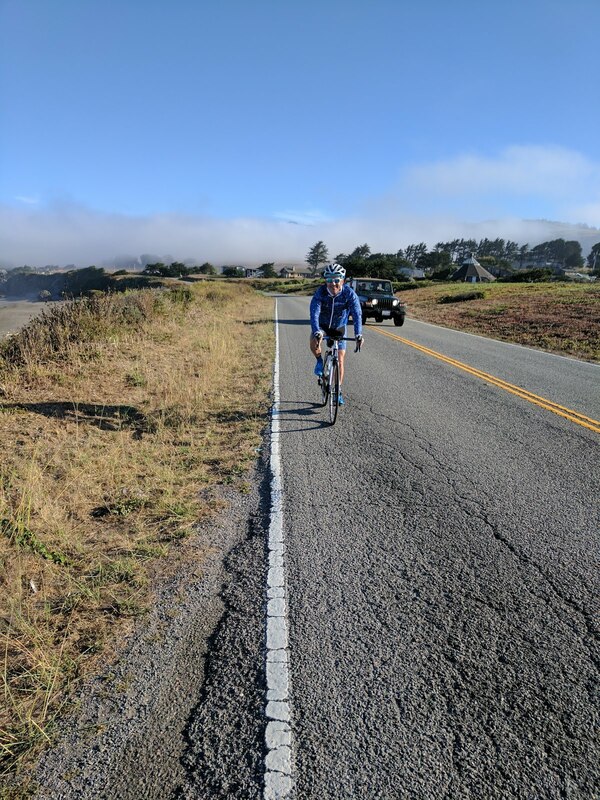 This year’s route has us start in the Presidio of San Francisco, make our way down the Peninsula, cross the Dumbarton Bridge, and work our way through the beautiful California landscape of the East Bay to Walnut Creek, where we'll have a BBQ and spend the night. 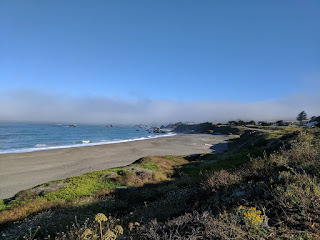 Sunday, we head up north to wine country, cross the Carquinez Bridge into the North Bay, head over towards Petaluma, and then out to Olema on the Marin coast, down the Marin Peninsula, and finally back to The City via the Golden Gate Bridge! Yes! YES! 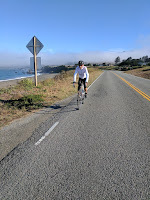 You ride faster when you smell strawberries or ocean air. You may be reticent to do __(insert any endurance event here) _ but once you hear it’s for charity you’ve already grabbed your shoes. You ask drivers to turn up their radios so you can listen while you ride alongside them. You can’t pass a bakery/cheese/__(enter favorite vice here)__ shop even if you’re a part of a long ride or BECAUSE you’re on a long ride. You believe it’s good karma to help people whether it’s changing a newbie’s flat, directing traffic when there’s a hazard on the road or other do-gooder action. You have laughed until water comes out nose while riding and/or volunteering (maybe repeatedly). Do I have to be a member of Different Spokes San Francisco to participate in DBD? No, but anyone who wants to can join DSSF here. The route is still subject to last-minute changes that might not get reflected in these maps. You will receive up to date route sheets on each morning of the ride. The routes are not marked so you will need to pay attention to the route sheets and look for our Moto Safety team who will be providing guidance at various junctures. Is there a rider limit? Yes. The event is limited to a maximum of 50 riders. Sign up before it fills up. Instructions for registering here. 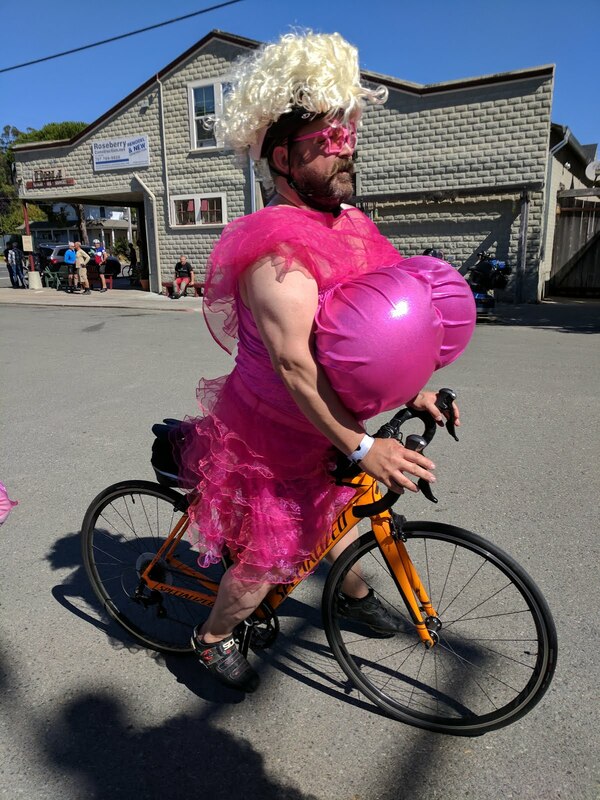 The fundraising minimum for riders is $500 but we are hoping that each rider sets $1000 as their goal so that we can reach the target of $25,000 for this ride! That is huge for an organization of our size! Because corporate matching donations can take several months to process, please work on these early so they count towards your fundraising total by the start of the ride. There will be incentives for those who dream bigger so prepare to hear about those! I want to volunteer. Where do I sign up? Please contact Emily at emarikosanders@projectinform.org or 415-580-7306. Tell us what you're interested in doing to be part of the event. The most common volunteer roles are SAG driver (including caboose), rest stop volunteer, bike tech, and Route/Moto Safety but we're open to other ideas that you might have! Like the riders you do supply your own transportation, meals and lodging but there are ways of doing that inexpensively. Let’s talk about it! Are roadies (volunteer staff) required to register and fundraise? No fundraising minimum is required of roadies, however everything you raise will benefit Project Inform’s getting to zero new infections HIV and Hep C and support of those who suffer these diseases. Your friends and family want to donate to a cause that leads you to volunteer! What rules of the road do we follow? Where do I stay at the end of Day 1? Day 1 officially ends at the Holiday Inn Express, Walnut Creek. On this ride you pay for your own accommodations so there are many options. Most of us will stay at the Holiday Inn Express at our rate of $149 for a King or 2 doubles. Please click here to reserve ASAP. Select which type of room you would like and the discount will be applied. You are also free to stay elsewhere in the area. Just let us know where you will be staying so that we know where you are. Like your parents…we worry. Also, you can choose to return home for the night, but, if you do so, make sure you are back in the area before our 6:45 AM meet time on Day 2. What do I do with my bike at the end of Day 1? You take it with you to your accommodations. The Holiday Inn was just remodeled so they were concerned that I let you know that damage to the carpet or walls there may incur a $40-100 cleaning fee. They were told that none of our participants are filthy beasts. Well, at least not on the outside. Perhaps more than other rides, we tend to be particularly food- and beverage-focused. We may have even been referred to as the Tour De Pastry or Cheese in the past! Our folks know where the good food is and will show you the way! The basics are that each rest stop will have a selection of snacks, water and sports drink. For lunch you pick up what you want. On the first day, there is a great market at Rest Stop 2 where many of us will buy our lunch to enjoy at the park at Rest Stop 3, but there will be other options as well. As to dinner, you are free to do what you like as there are many restaurants in the area, but we are arranging a BBQ at the hotel so that we may revel together! The next morning the hotel provides breakfast. If you require any other supplies (like more cheese or beverages), there is a Sprouts Supermarket within easy walking distance of the hotel. Our crew will find the best bakeries and cafes along the way! We’re like truffle pigs for... well... truffles and other goodies. There is no weight limit, but please limit your packed belongings to one bag as we have limited space for them. You can pack lightly as you only need something to wear to dinner, your Day 2 cycling apparel, any special nutrition that you use, toiletries, medications, a couple of spare tubes, bike lights if you plan on riding around town after dark, and any specialized bike products not easily found on the road. Labeling your bag so you or your ridemates can find it easily will make things MUCH easier. What if I can't finish a day in time? We will have SAG vehicles on the route that can transport you to the end of Day 1 or Day 2, but the timing is dependent on their availability. Alternately, you can choose to call a friend or a service to pick you up -- but if you do, you must notify a DBD official so that we are aware of your situation. Once again, we care about where you are and if you are safe. Can I ride after sunset? The route closes at 6:30 PM sharp each day. For your safety and that of our crew, if you are still on the route at sunset, you must stop and wait for a SAG vehicle to retrieve you. The rest stop closing times help enforce finishing each day in time. If you choose to ride around town on your own after sunset, legal lighting is required. Can I get a ride to skip part of the route? Possibly. If SAG vehicles are not being used for anything more urgent, they might be able to give you a lift if you are running behind schedule. On ALC, they say SAG can’t be your taxi service as they need to be available for their other duties first, and even on a small ride like this we will try to accommodate you but other duties must come first. What types of support will be available? There will be rest stops at regular intervals to supply you with the basics. Additionally we will have several SAG drivers driving along the route and at most rest stops. Most will have basic supplies such as water, ice, light snacks, and some basic bicycle equipment such as a floor pump. In some cases, the SAG vehicle can transport you to a nearby location if you are unable to continue riding. Please note, however, that the SAG vehicles are not a personal taxi service, and if you decide to leave the event, it is your responsibility to get transportation for you and your bicycle back to San Francisco or other location. Depending on volunteer availability, we may have bike technicians available for at least part of the weekend. Our crew is made up of amazing volunteers who are donating their time and supplies and are helping make your ride a success. Please adore and feed them cookies accordingly. What happens on ride morning? You will bring your bike, spare tubes, snacks, gear, full water bottles, shoes, helmet, gloves, sunscreen, sunglasses, etc. to Sports Basement Presidio. Carpool if possible. You should plan to arrive at the parking lot BEHIND Sports Basement by 6 AM so that you have plenty of time to unload your bike and gear, check in, attend a safety training/route overview, and get route sheets. We will ride out as a group at 7 AM sharp. If you arrive late and still plan to be part of the event, please call event dispatch to let them know that you are still on the event. Where do I park during the event? Sports Basement Presidio is providing us with free parking for the duration of the event. Please make sure that you park BEHIND the building as that is the space they have allotted for us. This is an open parking lot so just to be safe from break-ins, do NOT leave anything valuable, especially in plain sight, in your vehicle. Are toilets available at Sports Basement and along the route? Project Inform is springing for a porta-toilet in the parking lot, but in case of a line, you might want to take care of things at any of the nearly gas stations (Lombard St). Like ALC, we encourage riders to use only facilities like porta-toilets and regular restrooms and our rest stops coincide with businesses or parks where we might use the facilities. Will we ride if it's raining? Probably yes. We will cancel a day of the ride only if there are severe conditions that pose an imminent danger to riders and volunteers. 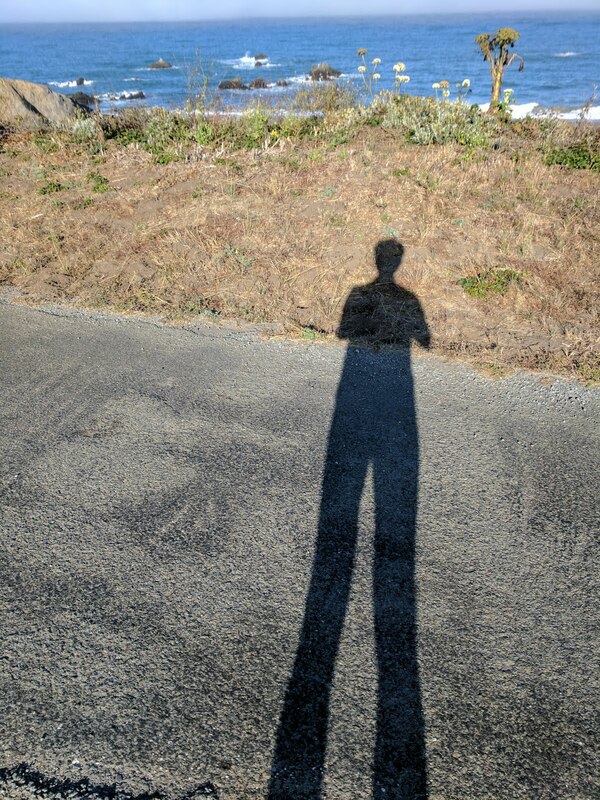 Weather in Northern California can be especially fickle. We will be traveling through many of the region's microclimates so almost anything is possible, ranging from chilly drizzle along the coast and in the mountains to dry summertime heat in the pasturelands and inland hills. We don’t have the crew to do pavement arrows, signs, or other markings. On some parts of the route, you will see pavement arrows of various colors and styles; but these are for other events to other destinations so please do not follow them. Please refer to your route sheet frequently during the ride; consider a map holder/binder clips and/or stick with other participants. Warning: this may lead to enjoying yourself even more! Our Moto team has kept us safe and on course and we expect that to continue. Will we encounter other events along the route? Possibly, and we will keep participants aware as we can. How fast do I need to ride? Are hotels available near the meeting location? If you are coming from outside San Francisco, you might want to consider getting a hotel for the night before the ride, as we leave early. Several hotels are available in a variety of price ranges within five minutes of Sports Basement Presidio; any of the online booking services can steer you in the proper direction. Can I transfer my DBD registration to someone else? No. If you are unable to ride in DBD for any reason, please let us know as soon as possible. If we reach our 50-rider limit, we will maintain a waiting list, and we will contact the person at the top of the list. That person must register and fulfill their own $500 fundraising minimum before September 20.
Who is the DBD staff? DBD is fully volunteer-run with support from Project Inform staff so please be patient if we don't answer your question or resolve your issue right away. Project Inform processes DBD registrations and handles fundraising through Everyday Hero. Questions? Contact Emily Mariko-Sanders at emarikosanders@projectinform.org or 415-580-7306. To support a rider please go to the Everyday Hero site. Click Find a Friend, and then type in the name of the rider you want to support followed by the text, "Double Bay Double." If the rider you want to support does not appear on the list, contact them for a link. It’s time again for a Double Bay Double/Dolly Renegade Ride the weekend of August 12th and 13th 2017! 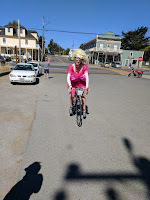 Different Spokes San Francisco and Project Inform have teamed up once again to commemorate 35 years of Different Spokes San Francisco with a recreation of an AIDS ride that DSSF put on 30 years ago and we hope you can be a part of this historic ride going north from Sports Basement Presidio to Guerneville, staying overnight then back to SF! This grassroots fundraiser asks that participants raise at least $300 (and hopefully more!) for the lifesaving work of Project Inform (www.projectinform.org). It is a supported ride in that one’s bags are carried, there are sweep vehicles, rest stops where you can get water/sports drinks/snacks and all of that support from amazingly compassionate, lovely and fun volunteers most of whom have A LOT of ALC and volunteer experience. It is an intimate affair because we top out at 50 riders. It's almost like a 2 day training ride with camping! The overhead is minimal because the riders and roadies pick up more of the expenses (camping fees, lunches), so all the donations go directly to Project Inform's policy, advocacy, education and research work. The fundraising minimum is $300 but we are hoping that each rider sets their goal as $1000 so that we can reach a goal of $50,000 for this ride! That is huge for an organization of our size and will support a range of policy, healthcare, research and educational activities! We use Everyday Hero for our fundraising platform. Click here for details. Each rider should have at least $300 credited to their account by 5 p.m. on Thursday, August 10 in order to ride. If you're still short at that point, you can donate the remainder yourself, but you will not be reimbursed if additional donations come in later. Because corporate matching donations can take several months to process, these might not be reflected in your Day 0 total, but we cannot count uncredited matches toward your Day 0 total unless you provide us with your paperwork. Are volunteers required to register and fundraise? No; there is no cost for Roadies/volunteers to participate. In order to ensure the maximum fundraising, we do ask that volunteers pay for their own meals and lodging. We can reimburse for gas and other incidentals if necessary. Some volunteers do fundraise (incredibly awesome!!!) 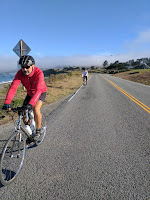 You can register via the registration link but please let Philip (415-580-7304 or pwalker@projectinform.org) know that you plan to be a volunteer and not cycle so that we don't count you toward the 50-rider limit. Please contact Emily at emarikosanders@projectinform.org. You can tell us what you're interested in doing to be part of the event. The most common volunteer roles are SAG driver (including caboose), rest stop volunteer, and bike tech, although we're open to any other good ideas that you might have. Weather in Northern and Central California can be especially fickle, and we will be traveling through many of the region's microclimates. Almost anything is possible, ranging from chilly drizzle at the coast and in the mountains to dry heat in the pasturelands. Winds are generally out of the north or northwest, which usually helps us on Day 1 and slows us down on Day 2. 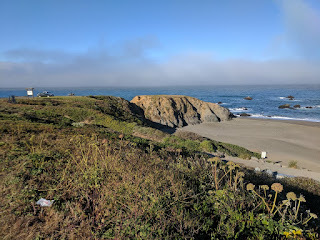 Coastal fog is common. Be advised that every year of the event so far has featured unexpected weather (heat, cold, wind, rain) of some type at some point during the weekend but the fact that the ride is earlier this year might mitigate against that. Day 1 officially ends at the Casini Ranch right on Russian River, just outside Guerneville. The campsite has been paid for the group and this way we will be able to camp together. You will simply have to pay $15 camper fee when you come in and to bring a tent (don’t worry if you don’t have one. Ask around particularly of those of your friends who aren’t able to sponsor you! They can support you with their tent! Additionally some of our participants have 2!) and figure out roommate arrangements. Grown up sleepaway bike camp! There are plenty of hotels, BnBs, and other accommodations in the area if you want to ‘princess’ it but book IMMEDIATELY as it is a popular area. I used hotels.com and the search was really fruitful! You take it with you to your tent. The campsite only allows their guests into the area so it’s pretty safe and it seems that the rides that use the campsite seem to be casual about it. If you are particularly nervous feel free to bring a bike lock. Where do I eat at the end of Day 1? We will have a catered meal at the campsite where we can regale one another in biking tales! If you require any other supplies, there is a store in the campsite. There is no weight limit, but please limit your packed belongings to one small bag, preferably backpack-size, your tent and sleeping bag. Because it is only an overnight trip, consider something to wear to dinner, your Day 2 cycling apparel, any special nutrition that you use, quarters for the showers, toiletries, a towel, medications, a couple of spare tubes, bike lights if you plan on riding into town, and any bike products not easily found in a tiny town. Please label all of your gear in a secure way so that the label stays on and you can find it easily. I'm going to profile by saying...many tents and sleeping bags look exactly alike. We will have SAG vehicles on the route that can transport you to the end of Day 1 or Day 2. Depending on the demand for SAG services, there might be a delay before you can be retrieved. You can choose to call someone else to pick you up -- but if you do, you must notify a DBD official so that we are aware of your situation. Can I ride the route after sunset? Sorry, no, not even with proper lighting. The route closes at 6:30 p.m. sharp each day. If you are still on the route at sunset, you must stop and wait for a SAG vehicle to retrieve you. We have rest stop closing times throughout the day that will be enforced to help you finish each day in time. If you choose to ride to Guerneville on your own after sunset, be forewarned as it is a narrow road with limited street lighting and legal lighting is required. Possibly. If SAG vehicles are not being used for anything more urgent, they might be able to give you a lift if you are running behind schedule. We will have several volunteer SAG drivers stationed along the route and at most rest stops. Most will have basic supplies such as water, ice, light snacks, and some basic bicycle equipment such as a floor pump and extra tubes. In some cases, the SAG vehicle can transport you to a nearby location if you are unable to continue riding. Please note, however, that the SAG vehicles are not a personal taxi service, and if you decide to leave the event, it is your responsibility to get transportation for you and your bicycle back to San Francisco or other location. Depending on volunteer availability, we might have one or more bike technicians available for at least part of the weekend. Please respect and thank our volunteers who are donating their time and supplies and are helping make your ride a success. You will bring your bike, spare tubes, snacks, gear, full water bottles, shoes, helmet, gloves, sunscreen, sunglasses, etc. to Sports Basement Presidio. Use a carpool if possible. You should plan to arrive at the meeting place at Sports Basement by 6 AM so that you have plenty of time to unload your bike and gear, check in, attend a safety training/route overview, and get route sheets. We will ride out as a group at 7 AM sharp. If you arrive late and still plan to be part of the event, please call event dispatch to let them know that you are still on the event. Sports Basement Presidio is providing us with free parking for the duration of the event. We will send along details as to where exactly to park. It is an open parking lot so just to be safe, don't leave anything valuable, especially in plain sight, in your vehicle. Yes. Like ALC, we encourage riders to use only facilities like porta-toilets and regular restrooms and we are planning with this in mind. A couple of caveats: Navigation around our rest stops is not precisely spelled out, so you will still need a printed route sheet; and the route is still subject to last-minute changes that might not get reflected in the on-line cue sheets. How much of the route duplicates Jon Pon? Thanks to the work of genius ride planner Chris Thomas who designed the Jon Pon route and Master Ride Leader David Gaus' tweaks to make it more Double Bay Double ride-like we will have a similar but slightly different ride! Let the good times roll! Although we are not AIDS/LifeCycle, we completely follow the ALC Code of Conduct and Safety Guidelines. Specifically, we stop at all stop signs and red signals, we ride single-file at all times, and we do not do pacelines. Please help us set a good example in the areas through which we ride. No; there are no pavement arrows, signs, or other markings. You will need to refer to your route sheet frequently during the ride; consider a map holder or binder clips. On some parts of the route, you will see pavement arrows of various colors and styles; these are for other events to other destinations, and you should not follow them. Navigation is as much a part of the event as is pedaling! Unknown at this point but we will keep participants aware as things develop. This ride is designed for riders who can maintain an average pace of at least 12 mph on flat to rolling terrain. We love all cyclists, but the 12 mph pace is necessary to complete each day's route before sunset. 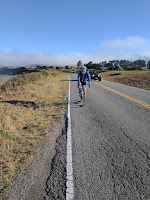 If you are coming from far outside San Francisco, you might want to consider getting a hotel for the night before the ride, so that you can arrive on time. Several hotels are available in a variety of price ranges within ten minutes of Sports Basement Presidio along Lombard Street; any of the online booking services can steer you in the proper direction. No. If you are unable to ride in DBD for any reason, please let us know as soon as possible. If we reach our 50-rider limit, we will maintain a waiting list, and we will contact the person at the top of the list. That person must register and fulfill their own $300 fundraising minimum before August 10. 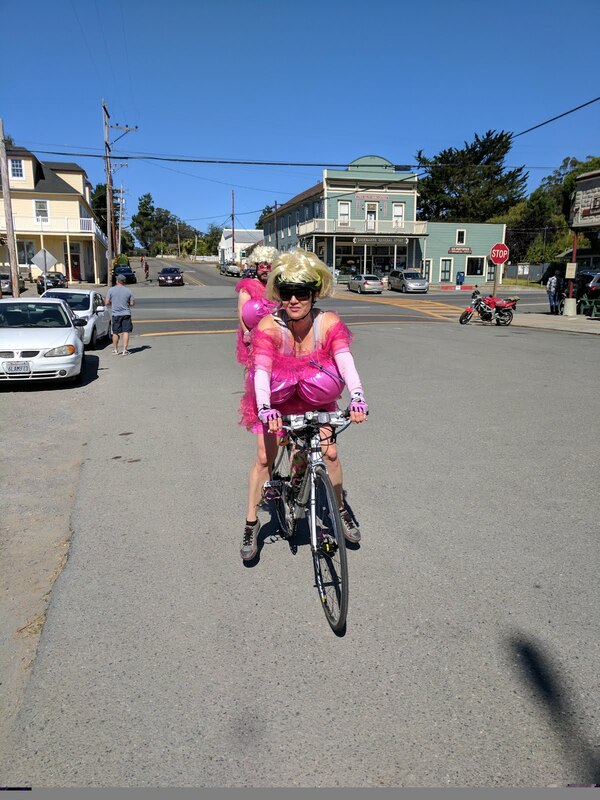 This year's ride will be the culmination of a partnership between Different Spokes San Francisco, Project Inform and a group of like-minded AIDS/LifeCycle riders including The Dollys. 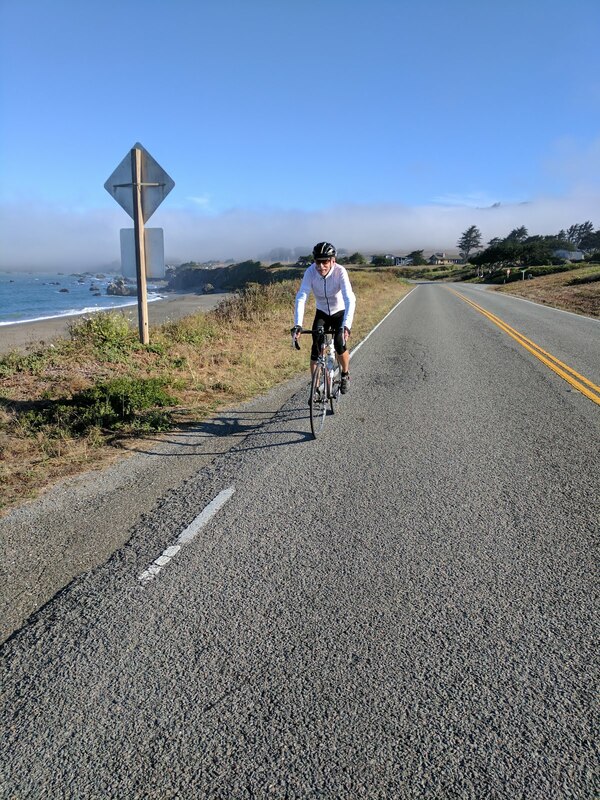 This ride takes place over the weekend of September 12 and 13th and takes a beautiful, at times challenging, 100 mile route from Sports Basement Sunnyvale to Marina (Monterey Bay). This grassroots fundraiser asks that participants raise at least $300 (and hopefully more!) for the lifesaving work of Project Inform (www.projectinform.org). It is a supported ride in that one’s bags are carried, there are sweep vehicles, rest stops where you can get water, sports drinks, snacks from amazing volunteers but use the facilities of a Starbucks or other commercial entity. What makes it different than a ride like ALC is that we ask that you buy the lunch of your choice on the route and you pay for your hotel room in order to maximize the fundraising for Project Inform. Sound like a great time while strengthening the community and reducing the negative effects of HIV? Join us in the active fun! The fundraising minimum is $300 but we are hoping that each rider sets their goal as $1000 so that we can reach a goal of $50,000 for this ride! That is huge for an organization of our size! By 5 p.m. on Thursday, September 10 each rider should have at least $300 credited to their account in order to ride. If you're still short at that point, you can donate the remainder yourself, but you will not be reimbursed if additional donations come in later. Because corporate matching donations can take several months to process, these might not be reflected in your Day 0 total, but we cannot count uncredited matches toward your Day 0 total unless you provide us with your paperwork. No; there is no cost for non-riding volunteers to participate, other than the supplies you bring (including gas) and your own meals and lodging. 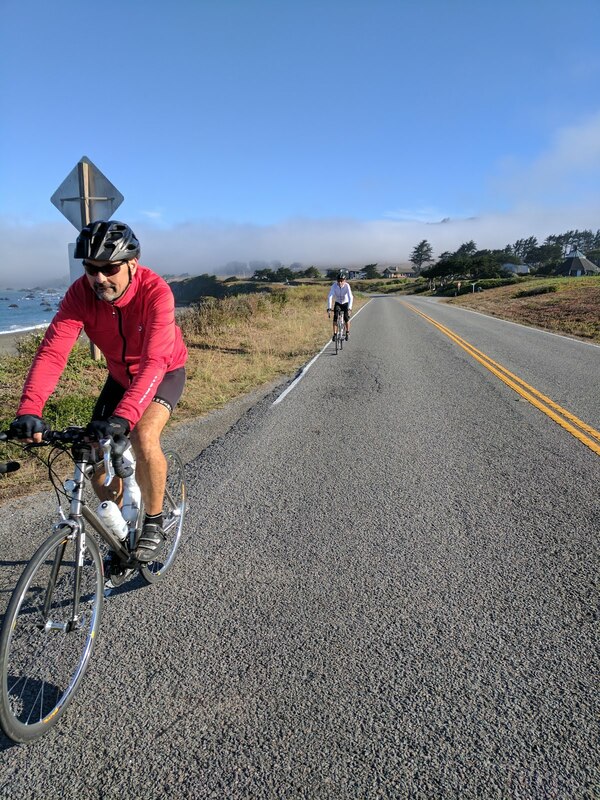 If you wish to fundraise as a volunteer, you can register via the registration link but please let Philip (415-580-7304 or pwalker@projectinform.org) know that you plan to be a volunteer and not a cyclist so that we don't count you toward the 50-rider limit. Weather in Northern and Central California can be especially fickle, and we will be traveling through many of the region's microclimates. Almost anything is possible, ranging from chilly drizzle at the coast and in the mountains to dry heat inland. Winds are generally out of the north or northwest, which usually helps us on Day 1 and slows us down on Day 2. Coastal fog is common. Be advised that every year of the event so far has featured unexpected weather (heat, cold, wind, rain) of some type at some point during the weekend but the fact that the ride is earlier this year might mitigate against that. Day 1 officially ends at the Ramada Marina in Marina. You are responsible for booking your own room and, if you wish to share your room with someone else, making your own roommate arrangements. You are also free to stay elsewhere; the Holiday Inn Express and Motel 6 are within easy walking/cycling distance. Also, you can choose to return home for the night -- but, if you do so, make sure you are back in Marina before our 6:45 a.m. meet time on Day 2. Be sure to book your room as early as possible because the Monterey coast is a popular weekend destination! You take it with you to your room, or back home if you're not staying in Marina. If your bike becomes especially dirty during the day, please clean it before taking it into your hotel room, and please do any necessary maintenance outside so that the hotels are pleased to see us next year! As in past years, ad hoc groups of riders and volunteers probably will form to go to specific restaurants. Denny's is within walking distance of the event hotels, but most of the other restaurants in Marina will require either a long walk or a short ride. If you require any other supplies, 7-Eleven and a large Walmart are located within walking distance of the event hotels. There is no weight limit, but please limit your packed belongings to one small bag, preferably backpack-size. Because we are staying in hotels, you do not need any items other than something to wear to dinner, your Day 2 cycling apparel, any special nutrition that you use, toiletries, medications, a couple of spare tubes, bike lights if you plan on riding into town, and any specialized (not the brand necessarily, just anything particular!) bike products not easily found in a tiny town. Our space to transport bags is limited, and with a full ride expected, we need to transport as many bags as possible in a small space. Please label your bag so you can find it easily. Sorry, no, not even with proper lighting. The route closes at 6:30 p.m. sharp each day. If you are still on the route at sunset, you must stop and wait for a SAG vehicle to retrieve you. We have rest stop closing times throughout the day that will be enforced to help you finish each day in time. If you choose to ride around Marina on your own after sunset, legal lighting is required. We will have several volunteer SAG drivers stationed along the route and at most rest stops. Most will have basic supplies such as water, ice, light snacks, and some basic bicycle equipment such as a floor pump and extra tubes. You are responsible, however, for obtaining and paying for your meals and snacks along the route and at the end of Day 1. In some cases, the SAG vehicle can transport you to a nearby location if you are unable to continue riding. Please note, however, that the SAG vehicles are not a personal taxi service, and if you decide to leave the event, it is your responsibility to get transportation for you and your bicycle back to Sunnyvale or other location. Depending on volunteer availability, we might have one or more bike technicians available for at least part of the weekend. Please respect and thank our volunteers who are donating their time and supplies and are helping make your ride a success. You will bring your bike, spare tubes, snacks, gear, full water bottles, shoes, helmet, gloves, sunscreen, sunglasses, etc. to Sports Basement Sunnyvale. Use a carpool if possible. You should plan to arrive at the meeting place in Sunnyvale (near US 101 and Lawrence Expressway) by 6 AM so that you have plenty of time to unload your bike and gear, check in, attend a safety training/route overview, and get route sheets. We will ride out as a group at 7 AM sharp. If you arrive late and still plan to be part of the event, please call event dispatch to let them know that you are still on the event. Sports Basement Sunnyvale is providing us with free parking for the duration of the event. Please make sure that you park BEHIND the building (on the Lawrence Expressway side) as that is the space they have allotted for us. This is an open parking lot so just to be safe, don't leave anything valuable, especially in plain sight, in your vehicle. Project Inform is springing for a porta-toilet in the parking lot, but in case of a line, you might want to take care of things at any of the nearly gas stations or McDonald's. Like ALC, we encourage riders to use only facilities like porta-toilets and regular restrooms. Most of the rest stops coincide with businesses where we might use the facilities, so that shouldn't be difficult. For riders with GPS devices, here are links to the preliminary (and subject to change) RideWithGPS routes for each day of DBD5. A couple of caveats: Navigation around our rest stops is not precisely spelled out, so you still need a printed route sheet; and the route is still subject to last-minute changes that might not get reflected in these files. How much of the route duplicates AIDS/LifeCycle? This year, hardly any. The exact numbers are subject to change, but we estimate that Day 1 of DBD will overlap about 1 mile of the ALC Day 2 route around Aptos and about 4 miles heading into Marina, and DBD Day 2 will overlap about 8 miles of the ALC Day 2 route between Marina and Salinas. Even if you're a veteran ALCer, you'll get to see plenty of new territory! 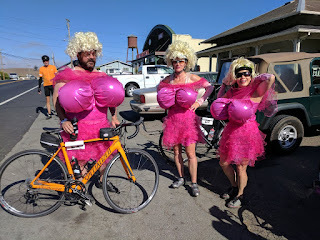 If you are coming from far outside Sunnyvale, you might want to consider getting a hotel for the night before the ride, so that you can arrive on time. Several hotels are available in a variety of price ranges within five minutes of Sports Basement Sunnyvale; any of the online booking services can steer you in the proper direction. No. If you are unable to ride in DBD for any reason, please let us know as soon as possible. If we reach our 50-rider limit, we will maintain a waiting list, and we will contact the person at the top of the list. That person must register and fulfill their own $300 fundraising minimum before September 10. DBD is fully volunteer-run with minimal help from Project Inform staff so please be patient if we don't answer your question or resolve your issue right away. Project Inform processes DBD registrations and handles fundraising through Everyday Hero. Questions? Contact Emily Mariko-Sanders at emarikosanders@projectinform.org or 415-580-7306. You can read the ride director's full report here.